The Ohio State Buckeyes had an explosive season on offense in 2018. Dwayne Haskins led the nation in passing yards, edging out Gardner Minshew who played in the pass-happy Air Raid system at Washington State. Even with the high-volume success in the passing game, the Ohio State coaching staff kept a balanced attack and finished in the top half of the country in rushing yards. The Buckeyes also excelled in keeping drives alive, finishing ninth in the nation on third down conversions at 48.17 percent. A previous article discussed a few red zone and scoring zone concepts that the Buckeyes used in the beginning of the season. This article will focus on their third down game plan for Northwestern in the Big Ten title game. 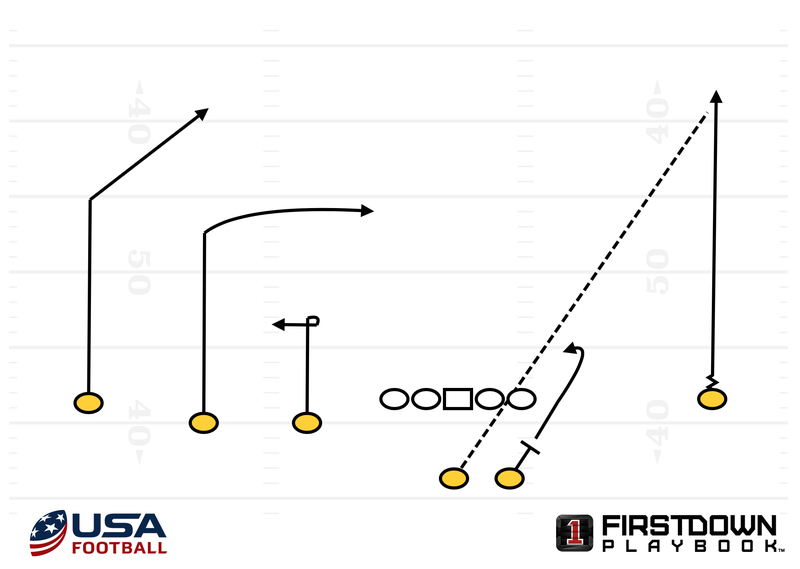 A strong third down package can change the flow of a football game. 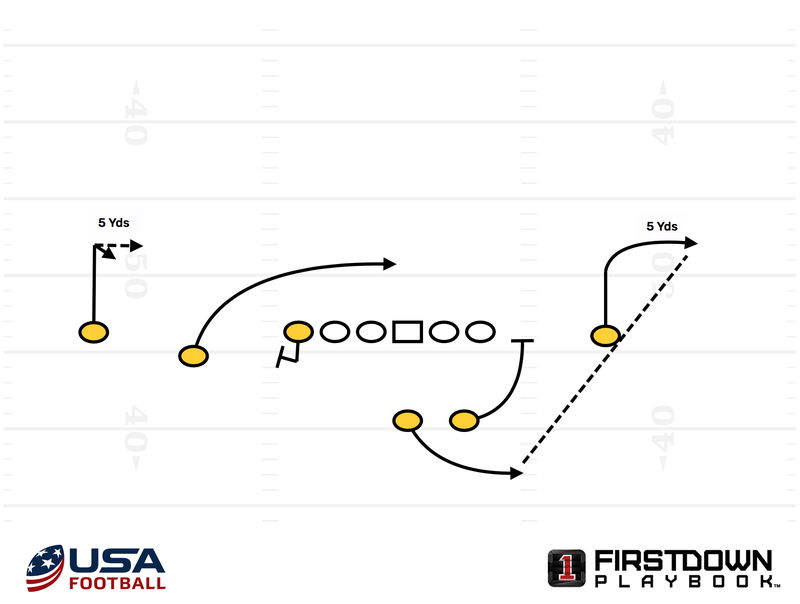 Converting third downs limits the amount of possessions the other team gets and keeps your defense fresh. The Buckeyes had a consistent theme in their game plan against Northwestern on third downs. The Buckeyes saw a lot of one-on-one coverage on the outside with the corners playing off the No. 1 receivers. Ohio State attacked this coverage with a few different concepts. Northwestern calls a creative rush scheme while still allowing the back end of the defense to play a true Cover 3. Northwestern brings an extra defender off the edge to the wide side of the field and then drops their defensive end to the short side of the field. Ohio State’s sprint out concept gives the offensive line help in picking up this pressure scheme as they are sliding towards the blitz. With soft coverage on the outside, Ohio State picks up the first down with ease on the quick out route from the No. 1 receiver. The reduced split by the No. 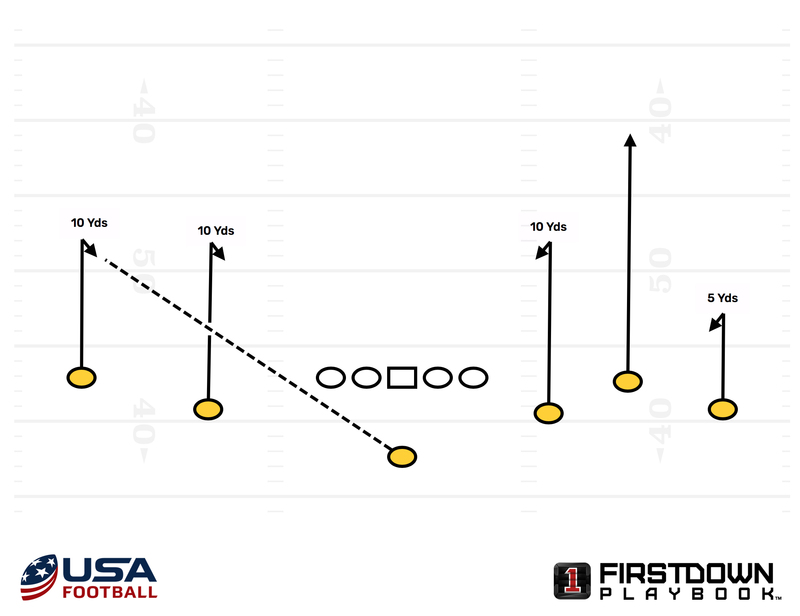 1 receiver is an important coaching point. It gives him more room to work with if the quarterback is late on the throw. Northwestern rushes four and plays a Cover 4 variation on the back end. With the two safeties eyeing Ohio State’s slot receivers on each side of the formation, the offense gets one-on-one matchups on the outside. 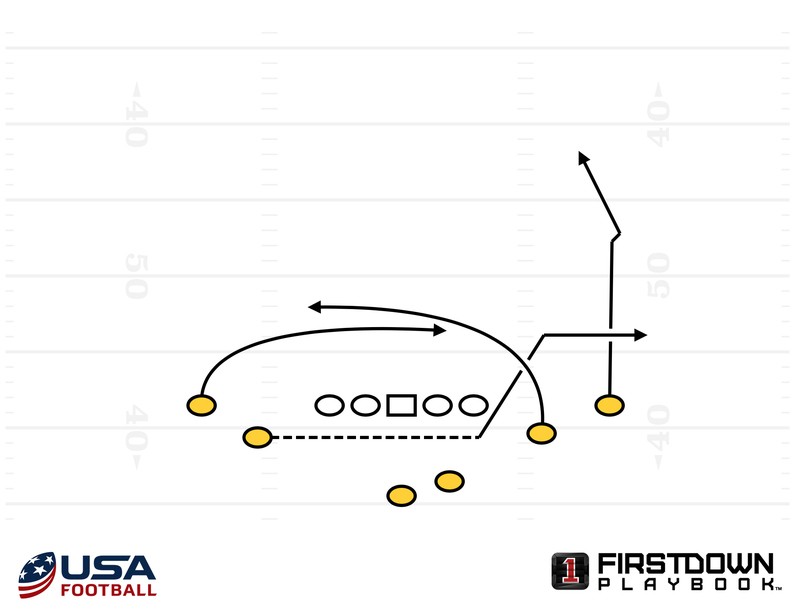 Third and five situations are tricky for a coordinator because a quick hitch route can be tackled in front of the sticks. Ohio State calls a deeper hitch route at ten yards to avoid this situation but still attacks the same area of the field. Northwestern does a nice job covering the mesh concept. Haskins has nowhere to throw the football. With all of his receivers covered, he does not force the ball into tight coverage, but rather takes off and picks up the first down. With Northwestern playing man, there is nobody on the second or third level with eyes on Haskins as he scrambles. In third and long situations, most teams are content to run the ball, or dump the ball off to a check down. However, these situations are a good opportunity to take a shot down the field because an interception would have the same effect as a punt. The diagram and video below show a third and twenty Ohio State faced just before halftime. With one-on-one coverage on the outside, Haskins takes a shot down the right sideline even though the cornerbacks were playing well off of his outside receivers. With a well placed throw, Haskins and the Buckeyes convert on a low probability situation. No matter the distance, no matter the coverage, it pays dividends to have a plan of attack on third downs. Against Northwestern, Ohio State showed that these situations can often shape the outcome of a game.